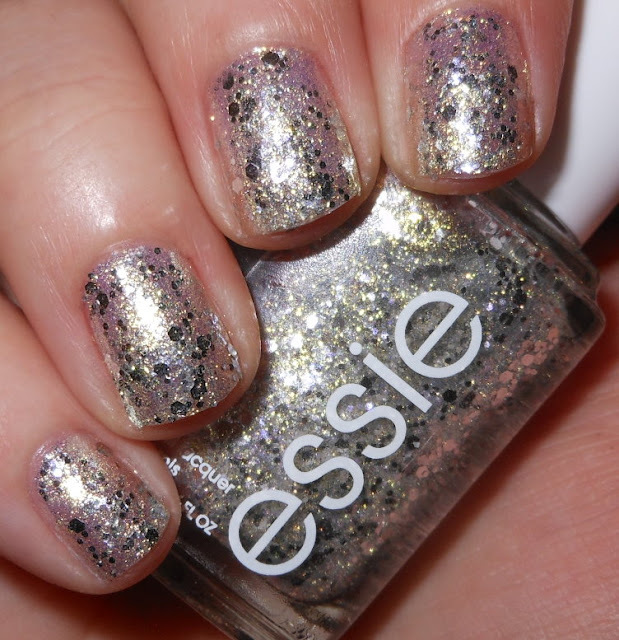 I have another one of the polishes from the Essie Encrusted Treasures that stunned me today. I really can't get over this finish in nail polish. I'm not sure what you call it, but I've seen in the Sephora X line, Maybelline Color Show Brocade collection, a-england, and now Essie. The finish is like this shimmer-glitter-gasm of pure ecstasy. Yes, I will describe nail polish with sexual terms. 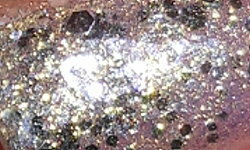 Hors D'oeurves (crap I had to spell that again) is a multi-faceted shimmering white golden silvery base with silver glitters. Color: I seriously can't describe this finish, it is beyond my the skills of my nail polish brain to understand. I can say it's magnificent. The shimmer and sparkle in this is dazzling, blingy, and glitzy. The silver tones pair nicely with the gold in the shimmer. This is just an epic nail polish creation. Formula: I used 3 coats above. Yes, in the photo you can kind of see my nail underneath, but it's not this way in person at all. This polish is so shiny and reflective all you see is sparkle happiness. This is an odd recommendation, but I do not recommend using more than 3 coats. The shimmer will start to overwhelm the glitter and it does ruin the look. 2-3 coats only! Price: I got this for $8.50 at Target. Overall: Insanely stunning. Must have. Go get this! This and the blue from this collection are quite pretty. I don't buy a lot of Essie but I might have to get these babies!